Updated Oct. 27, 2016: ITIF said its next report will be in Fall 2017. LaunchTN's July 7, 2014 statement in response to the earlier ITIF report is posted in full at this link. Initial 7/14 story is below. -Ed. THE TENNESSEE economy trails those of 39 of the Fifty States, based on 25 "New Economy" criteria published by a Washington, D.C., think tank. 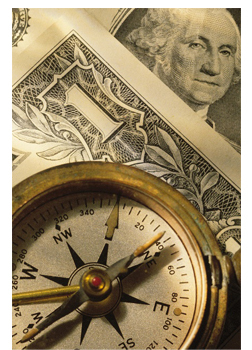 The 2014 State New Economy Index was released June 11 by the Information Technology and Innovation Foundation (ITIF). The full report is here (pdf). The Index is intended as a tool to help all states improve their economies by devising and implementing "comprehensive and cogent innovation strategies," according to its authors, ITIF President Rob Atkinson, Ph.D., and Adams Nager, economic research assistant. ITIF's 2014 report shows Tennessee dropping this year to 40th position among states, from 39th place in ITIF's 2012 rankings. Higher-ranked states are deemed likely to achieve better growth in domestic product and per capita income. In 1999, Tennessee ranked 31st. Tennessee's next shot at achieving a higher "New Economy" ranking comes in 2016. That's when ITIF plans to release its updated Index, just after the quadrennial presidential-campaign conventions, Atkinson told VNC. Representatives of both the State of Tennessee's Economic and Community Development agency (ECD) and ECD-sponsored LaunchTN were provided access to the ITIF Index prior to its formal release, but have not yet publicly commented. This story will be updated, as warranted. In the latest ranking, Tennessee fares better on some metrics than on others. For example, on Economic Dynamism, Tennessee ranked 43rd; and, it ranked 41st on Health IT and Patents -- worse than its overall 40th ranking. However, the state ranked much better than 40th for its adoption of E-Government (3rd); IPOs (8th); Foreign Director Investment, Export-oriented Manufacturing and Fast-Growing Firms (each 18th); and, Non-industrial R&D investment (8th). Also, on the broader measure of "High-Tech Jobs," the state ranked 37th. Tennessee ranked 27th on Venture Capital. ITIF said that in 2013, 60% of the nation's total VC investment was in either Massachusetts or California, states with concentrations of high-tech businesses and university engineering and science programs. Moneytree/PwC analyses, based on Thomson Reuters data, have shown that in 2013 approximately $109.3MM in VC investment occurred in Tennessee, with Software the largest gainer; and, with about 85% of Tennessee's total VC being executed in the Nashville Metro region. Though it would be tough to prove, public and private initiatives undertaken in Tennessee during the past decade may have spared the state an even lower 2014 ranking. In 2006, D.C.-based consultant New Economy Strategies (NES) reported that -- not withstanding Tennessee's natural and industrial advantages -- the state needed to create an "Innovation Road Map." The state sorely needed to re-energize and focus its tech-driven economic development efforts, increase regional and sectoral collaboration, step-up tech commercialization, and uproot a business culture that many of those surveyed said was "parochial and conservative," said NES researchers. No assessments have yet been published regarding the net benefits, if any, spawned by an array of state and local initiatives that were launched in the years following the NES report. And, the fact that many of those initiatives have been funded with one-time moneys raises questions about the sustainability of those efforts. Still, anecdotal information suggests that the weaknesses in Tennessee's "entrepreneurial mindset" that were cited by NES eight years ago might have been partly alleviated by the state's TNInvestco and INCITE capital-formation initiatives; by increased public-private pressure for university technology commercialization; and, by more aggressive cultivation of Tennessee's accelerator network and overall innovation ecosystem. Though "macro" factors will doubtless play a huge role in the results two years from now, the ITIF New Economy Index's authors assert that it is generally state-level actors, rather than national figures and institutions that are "best positioned" to spur U.S. economic revitalization. In another ITIF report June 30, the Foundation described innovation policy-making at the national level as "weak" and hampered by discord over such issues as the Federal deficit and the scale of entitlement programs, as well as by Populist resistance from both the Left and Right. Tennessee's 40th ranking in the ITIF Index represents a composite score, reflecting 25 distinct indicators ITIF believes describe a state's capacity for participating competitively in the "knowledge-based, globalized, entrepreneurial, IT-driven and innovation-based" world economy. The 25 indicators are grouped in five categories: Knowledge jobs; Globalization; Economic dynamism; the Digital economy; and, Innovation capacity. ITIF's scoring methodology places greatest weight on Knowledge jobs and Innovation capacity. ITIF cautions that its methodology has continued to evolve since its first report, in 1999. That fact, plus the vagaries of the national and state economies, make it difficult, says ITIF, to correlate changes in the rankings with changes in each state's economic structure, government policies and other factors. Tennessee's 49th chief executive, Gov. 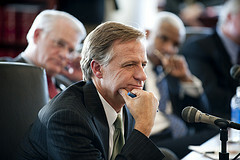 Bill Haslam, took office in January 2011. With high approval ratings, the Governor leads a beautiful, strategically located state with no state personal income tax, and a chest of development accolades. Haslam's Republican Party controls not only the Executive branch, but also the House and Senate of the state's General Assembly. Haslam places Jobs & Economic Development atop the unprecedented performance dashboard (link here) he constructed in public view online (earlier story here). The dashboard remains a work-in-progress, and does not yet include granular economic-development or "Innovation" data such as that included in ITIF's Index. The Governor assigns economic development and innovation leadership mainly to Cabinet member Bill Hagerty, who plays dual roles as commissioner of State Economic & Community Development (ECD), and as chairman of the governing board of Tennessee Technology Development Corporation (TTDC), the 16-year-old 501c(3) public-private partnership that is an agent of ECD and does business as LaunchTN. Hagerty said in ECD's 2012 Annual Report that his agency had begun a "new era" of Tennessee innovation. LaunchTN CEO Charlie Brock took his post 18 months ago. 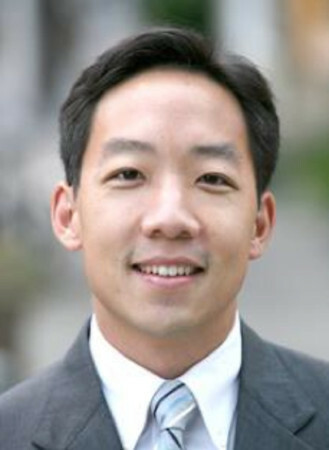 Brock said in his extensive November 2013 report to the Tennessee General Assembly that his agency's purpose lies in "Leading statewide efforts to boost entrepreneurship, promote the commercialization of technologies, increase the flow of capital into TN-based companies and raise the state's profile." Hagerty makes clear on ECD's Innovation webpage that ECD has two primary aims: First, finding "the next Fedex or Hospital Corporation of America" and helping such companies start and grow here. Second, working through LaunchTN, ECD aims to accelerate Tennessee entrepreneurship (with emphasis on the state's nine regional accelerators); commercialization of technology driven by institutional research; facilitating connections between early-stage Tennessee companies and Angel and Venture Capital investors; and, other outreach programs to help cultivate the state's innovation ecosystem. ECD further outlines how it plans to make Tennessee the "No. 1" location for "high-quality" jobs in the Southeast, in its previously reported Jobs4TN campaign and in high-level strategy summaries it has published for its nine regional "base camps" throughout the state. Though ITIF is perhaps imbued with more interest in technology, it is not the only organization grappling with defining, measuring and advocating innovation at city, state and national levels. Metro Nashville government is competing in the civic innovation-oriented CITY ACCELERATOR pitch-off, a project of Living Cities, Citi Foundation and GOVERNING (an e.Republic magazine). Details are here. In cooperation with the Nashville Entrepreneur Center and others, Metro's effort is led by Nashville's Co-Chief Innovation Officers, Yiaway Yeh and Kristine LaLonde. Among the myriad of other innovation observers nationally and globally, the Harvard Business School in 2013 issued a report on U.S. competitiveness and innovation, with an agenda of suggested actions for corporations; and, the National Science Foundation tracks a broad range of R&D spending, and will report in early 2015 on R&D spending by Tennessee and other states. Within Tennessee, the University of Tennessee Institute for Public Service and LaunchTN further commercialization of technologies via SBIR/STTR programs. The Brookings Institution is also a player. It recently featured Chattanooga Mayor Andy Berke in its program on urban "innovation districts." Berke recently said he believes Chattanooga's future "is based on being the place that figures out how midsized southern cities tap into the innovation century and the role that we play."